I am excited to introduce my last crochet pattern for this year, Oliwin! 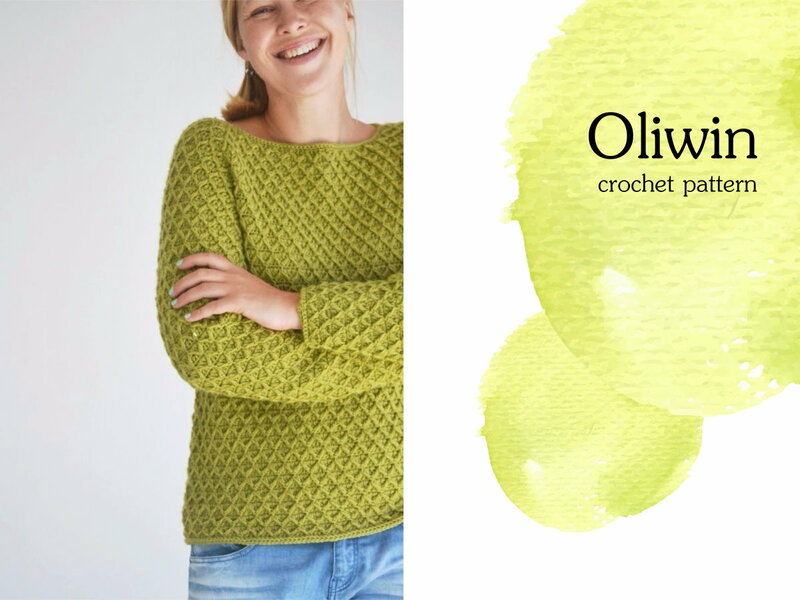 Oliwin is a casual and cozy everyday sweater worked seamlessly from the top down. It features relaxed shaping at the body, a crew neck with a higher back neck, and sleeves which taper toward the cuff. I used 100% alpaca in DK weight (175 yards/160 m per 50 g ball) and 4 mm size hook (US G) to achieve soft and comfy result because the textured post stitch pattern worked too tight could make the fabric too dense and heavy. 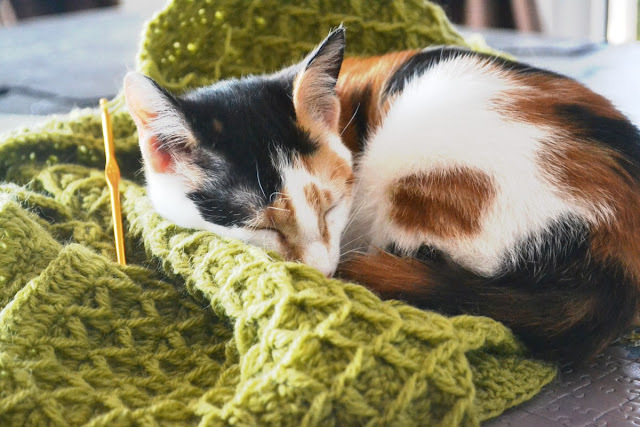 I marked this project as "difficult" on my project page on Ravelry. 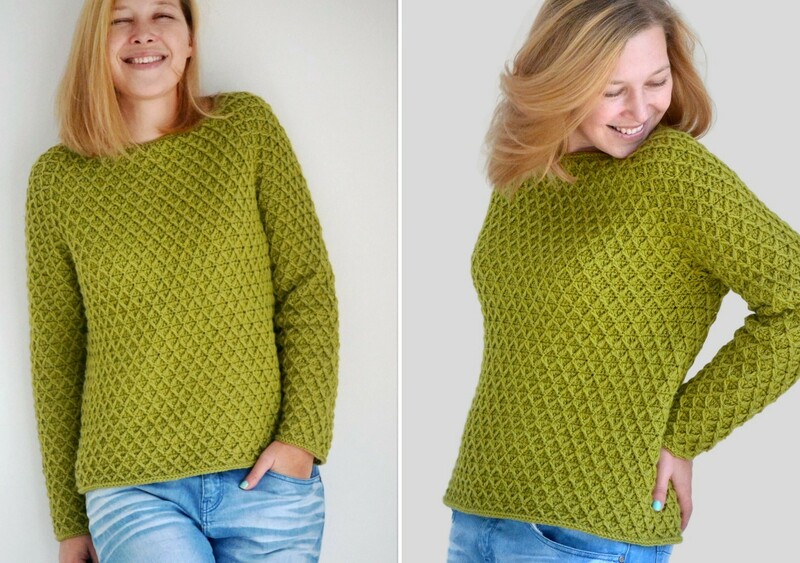 Besides it is worked in the round from the top down and seamlessly, the yoke includes several extra rows worked across the back to create a higher back neck, and the underarm bridges are added before joining the body in the round. 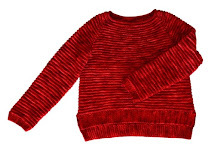 The sweater is shown in size M with approx. 4''/10 cm positive ease. Oliwin pattern is 50% off price until the end of this year. No coupon code needed, the discount will apply automatically. 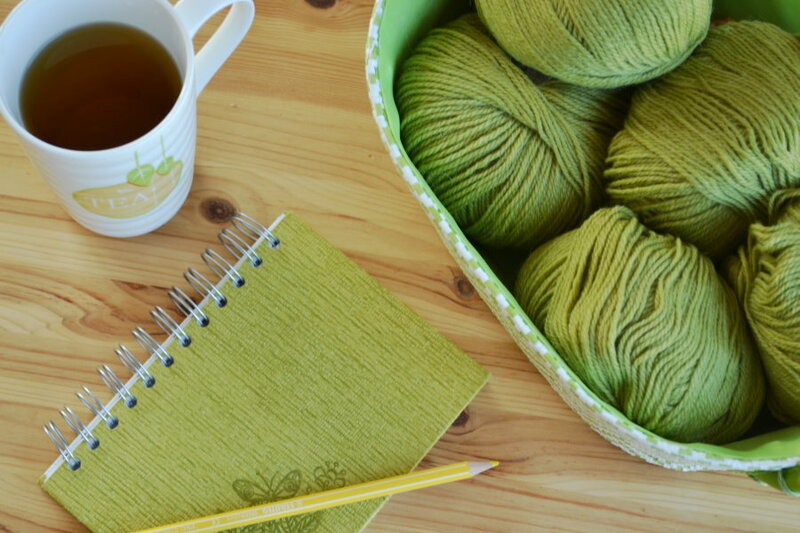 Happy crocheting and a Happy New Year!